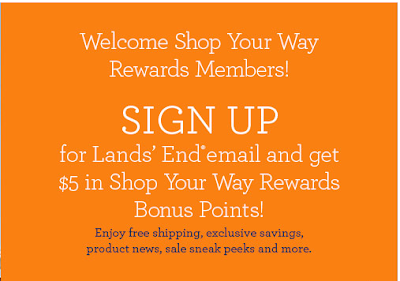 Sign up for Land's Ends emails and you will get $5 in Shop Your Way Rewards money. Shop Your Way Rewards is the joint rewards program for Sears, Lands End, Kmart and My Gofer. You get the equivalent of 1% of every dollar your spend towards your next purchase. It's a free program so there is no downside other than having to set up a new email filter to get rid of the emails cluttering your inbox. 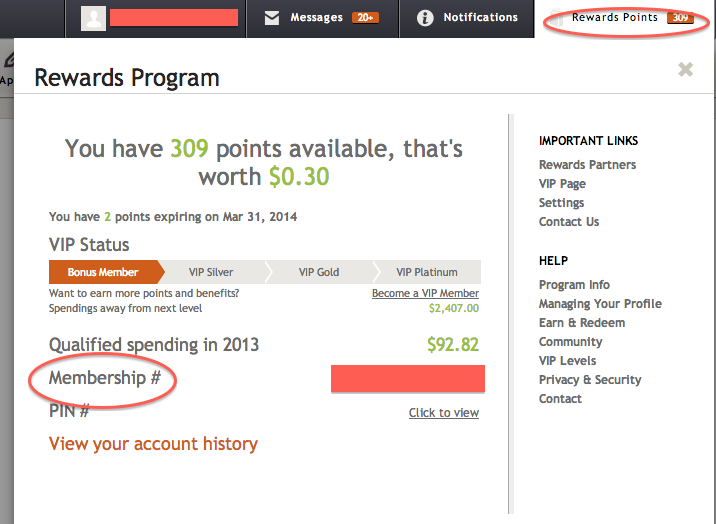 You can find your Shop Your Way Rewards number by clicking on Rewards points in the top right corner as shown in the picture below.